Brioche itself is an extravagant treat, but these brioche doughnuts elevate the legendary dough to a whole new level. 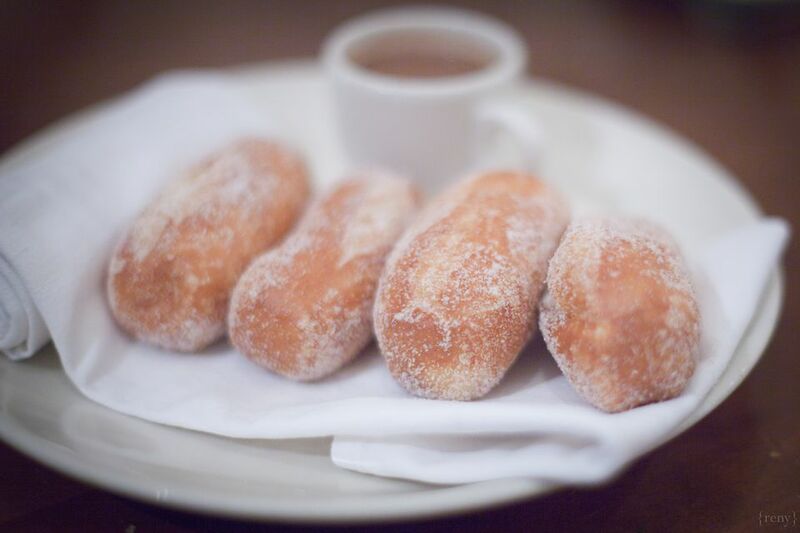 Dense and light at once, and altogether rich and aromatic, these doughnuts are the ultimate confection. Pastry connoisseurs search high and low for brioche doughnuts, which patisseries usually sell out of within hours of making. Instead of joining in the hunt, try making them for yourself. This dough is easy and workable, much more so than other brioche recipes. This versatile recipe can take on many different variations: classic doughnuts, filled doughnuts, and doughnut holes. Try dipping them in homemade ganache, or filling them with apple pie jam. Gather the dough into a ball place it in a large, greased bowl or dough container, turning once to coat the dough. Cover the bowl, and then allow the dough to rise for 45 minutes somewhere draught free and warm but not hot. This will kick start the fermenting process to give the brioche its signature flavor. Once risen, refrigerate the dough for at least 8 hours, or overnight. Do not allow the dough to rise for more than 12 hours. Gently stretch the dough out over a lightly floured surface. Roll it until it is approx 1/2-inch thick, and then cut the dough into the desired shapes with a doughnut cutter - traditionally the Brioche Doughnuts will be finger-shaped of cut into circles. Transfer the doughnuts to a parchment-lined baking sheet and allow them to rise for 1 hour. Preheat the deep-frying oil to 350F. Fry the doughnuts in batches, two at a time, until they are golden brown on both sides. Drain the brioche doughnuts on clean paper towels, repeat until you have cooked them all. Finally, dust them with confectioners' sugar just before serving, or dip them in warm ganache and leave to set to make an extra decadent treat. The doughnuts do not keep too well, so best eaten on the day they are made.